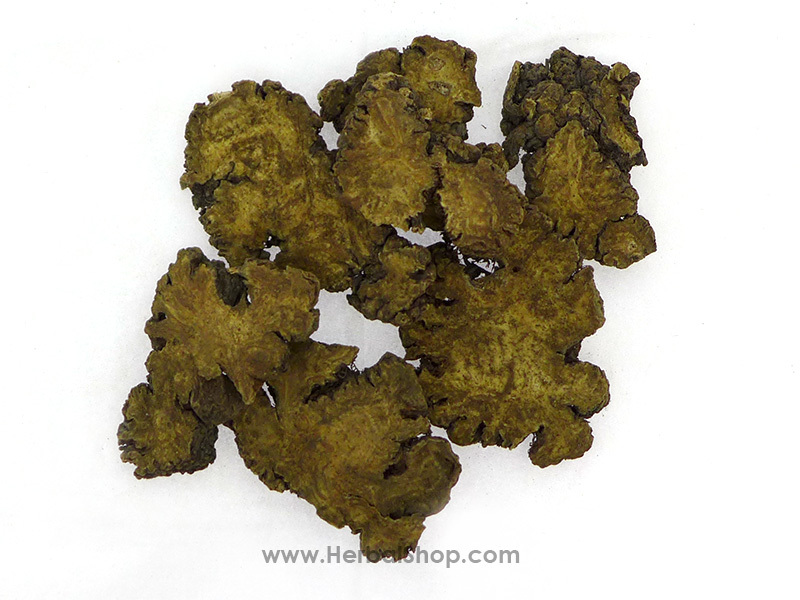 Botanical Name: Ligusticum chuanxiong Hort. Part Used: The rhizomes are dug in late May. 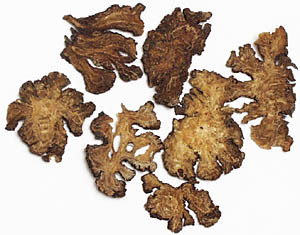 The fibrous roots are soaked and cut into slices. 1. 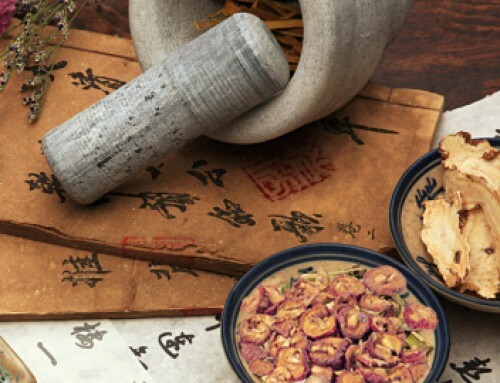 Blood and qi stagnation: a) irregular menstruation, dysmenorrhea and amenorrheaChuanxiong rhizome (Chuanxiong) is used with Chinese angelica root (Danggui), Red peony (Chishao), Cyperus tuber (Xiangfu) and Motherwort (Yimucao); b) difficult laborChuanxiong rhizome (Chuanxiong) is used with Cyathula root (Niuxi) and Tortoise plastron (Guiban); c) postpartum abdominal painChuanxiong rhizome (Chuanxiong) is used with Motherwort (Yimucao), Peach seed (Taoren) and Safflower (Honghua); d) hypochondric painChuanxiong rhizome (Chuanxiong) is used with Bupleurum root (Chaihu), Cyperus tuber (Xiangfu) and Curcuma root (Yujin); e) numbness of the limbsChuanxiong rhizome (Chuanxiong) is used with Red peony (Chishao), Earthworm (Dilong) and Spatholobus stem (Jixueteng). 2. 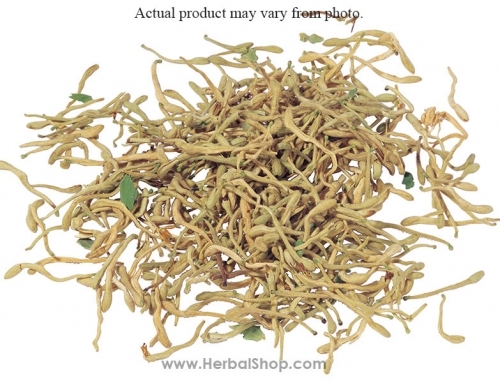 Headache : a) wind-cold headacheChuanxiong rhizome (Chuanxiong) is used with Dahurian angelica root (Baizhi) and Asarum herb (Xixin) in the formula Chuanxiong Cha Tiao San; b) wind-heat headacheChuanxiong rhizome (Chuanxiong) is used with Chrysanthemum flower (Juhua), Gypsum (Shigao) and White-stiff silkworm (Baijiangcan) in the formula Chuanxiong San; c) wind-damp headacheChuanxiong rhizome (Chuanxiong) is used with Notopterygium root (Qianghuo), Ligusticum root (Gaoben) and Ledebouriella (Fangfeng) in the formula Qianghuo Shengshi Tang; d) headache due to blood stagnationChuanxiong rhizome (Chuanxiong) is used with Red peony (Chishao), Red sage root (Danshen) and Safflower (Honghua); e) headache due to deficient bloodChuanxiong rhizome (Chuanxiong) is used with Chinese angelica root (Danggui) and White peony root (Baishao). 3. 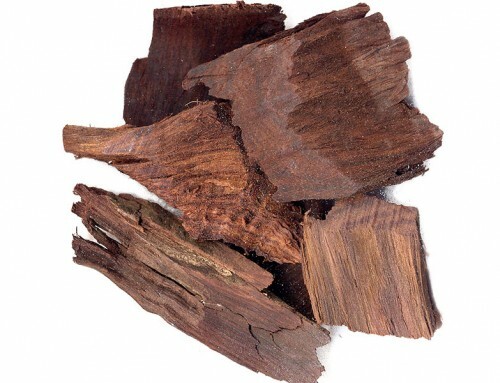 Wind-damp obstruction syndrome (painful joints). 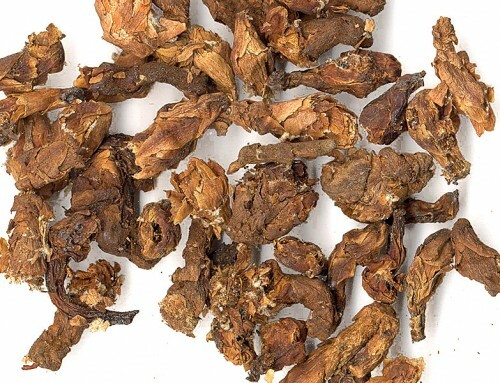 Chuanxiong rhizome (Chuanxiong) is used with Notopterygium root (Qianghuo), Pubescent angelica root (Duhuo), Ledebouriella (Fangfeng) and Mulberry twigs (Sangzhi). 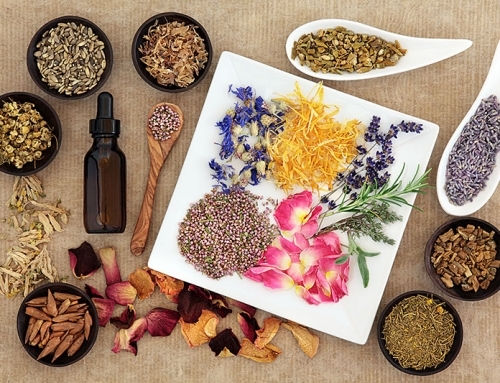 Cautions & Contraindications: This herb is contraindicated during hemorrhagic diseases and during profuse menstrual flow.